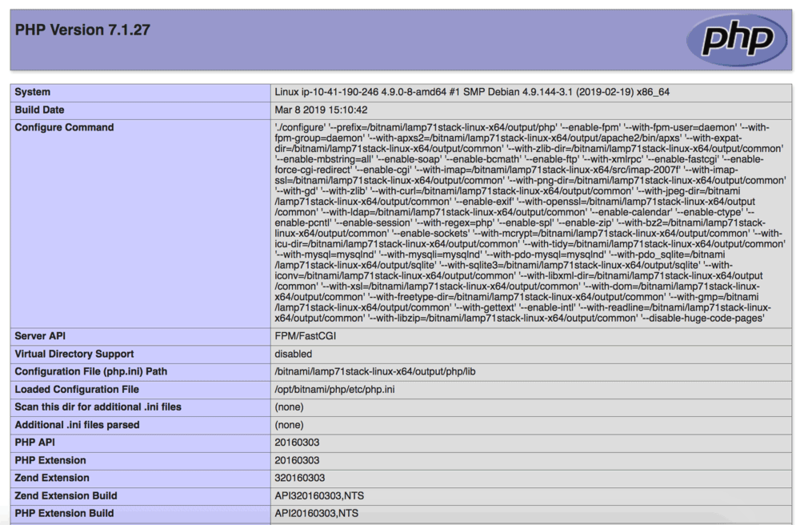 Save the file as phptest.php in the Web server document root (/opt/bitnami/apache2/htdocs/ for Apache or /opt/bitnami/nginx/html for NGINX). Make sure the Web server is running, open a browser and type http://SERVER-IP/phptest.php. You should then see a screen showing detailed information about the PHP version you are using and installed modules.